What Is The Difference Between ERP and Accounting Software? Recent years have brought a sea of change to business management software. While businesses have long considered accounting software a necessity, that mantle is increasingly taken by enterprise resource planning (ERP) software. So much so, in fact, that many are starting to use the terms interchangeably. While there are worse crimes in the world than using the wrong term for a given software package, understanding the difference can help you compare accounting software and ERP software. In order to fully illustrate the difference between accounting software and ERP software, let’s look at the range of functionality traditionally offered by each. Accounting software, as indicated by its name, deals with accounting transactions such as payroll, accounts receivable, accounts payable, and trial balances. Common modules bundled with accounting software include billing, sales order, purchase order, general ledger, timesheet, expense, and electronic payment. While there is some crossover with ERP functionality, the two are slightly different. ERP software is a resource management system, tracking tangible and intangible assets, materials, human resources, and financial resources. 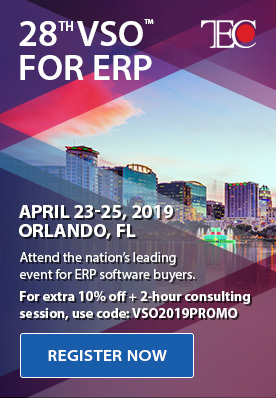 Financial resources may jump out at you, but note that ERP software covers a range of functionality not generally offered by accounting software, often factoring in intangibles like human work hours, product lifecycles, performance units, and customer relations. Simply put, accounting software, as it is traditionally known, is a subset of any ERP bundle. 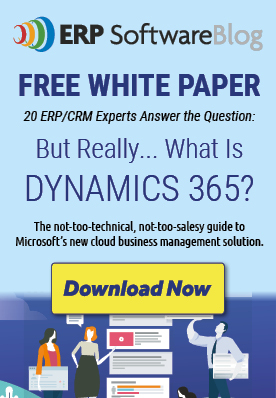 Let’s take the Microsoft Dynamics GP modules as an example. The suite offers financial services such as financial management, planning, and budgeting. This collection by itself may have been considered accounting software ten years ago, but now can potentially interface with a number of other modules. Business operations like project and supply chain management, reporting and analysis, human resource management, and even IT management are all services that can be coordinated and managed under the Microsoft Dynamics GP software. However, all of this is semantics. Sure, accounting software and ERP software may be two different things, but does it really matter in today’s environment? The answer is not really – accounting software as an entity unto itself has been steadily contracting. Recent years have seen many accounting software vendors cease operations or be acquired by larger groups. Additionally, with so many ERP platforms offering the same accounting functionality but with scalable growth potential, why would you choose a traditional accounting software bundle? The reason that accounting software and ERP software have come to mean the same thing in today’s market is that accounting software as we traditionally understand it is fading away. Larger, more comprehensive software suites are replacing its function. As the industry moves on from this dated concept of accounting software, it’s possible that ERP software may completely co-opt its meaning as well as its functional place in the market. Given that the two are unlikely to exist simultaneously in the market now or in the future, referring to ERP as accounting software is unlikely to cause confusion. At omega we develop and design MLM Software, Ecommerce website, CRM Software, ERP Software and money transfer software. Why are systems such as Quick Books still being widely used as opposed to an ERP system? Small businesses use Quickbooks, Xero or MYOB, to do basic finance administration tasks. Big businesses however require extensive systems to integrate complex business processes. Well explained! Yes, In general both are same, but technically are different. ERP can forecast sales, accounting and other things by using data, but accounting software unable to do that. We can say accounting software is a small part of the ERP. It allows us to integrate various third party accounting tools like cutback to make the payment process smoothly. Your explanation is so interesting.I found your article when i was googling to understand the difference between ERP & AIS. Really i am so much satisfied.And your explanation confirmed my suspect of AIS is the subset of ERP. Am a Masters student in Accounting and Finance in Ethiopia,first year student.Am trying to select research topic that concentrates how lack of Accounting information system affects firms performance.I am preparing to make a case study by taking the situation of the company am working currently.I hope you will give me your insightful comment whenever i need it.Thank you in advance. The clarity on your submit is just cool and i can assume you’re an expert on this subject. Fine along with your permission let me to clutch your feed to stay up to date with impending post. Thank you one million and please carry on the rewarding work.